What do you think of this new invitation? 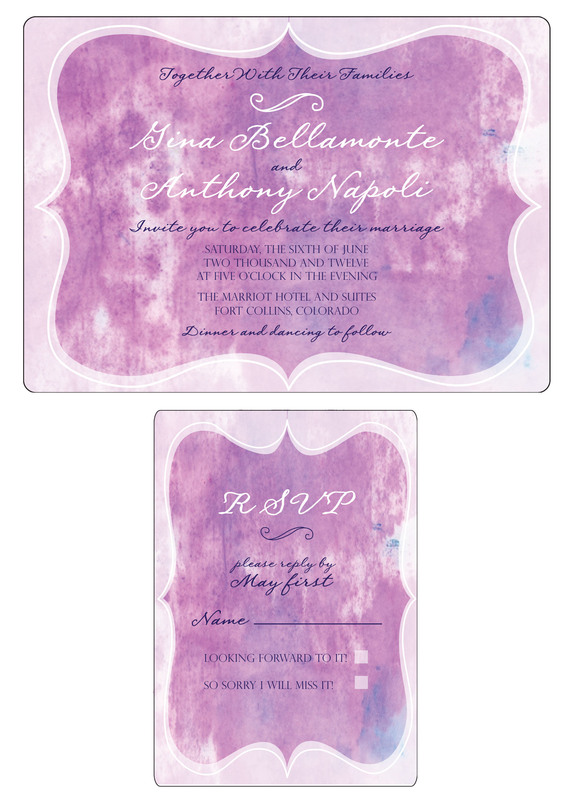 I was playing with my watercolors and got inspired to use a watercolor background as the theme for an invitation suite. I think I am still toying with the fonts, layout, and color. I would love to hear your thoughts!